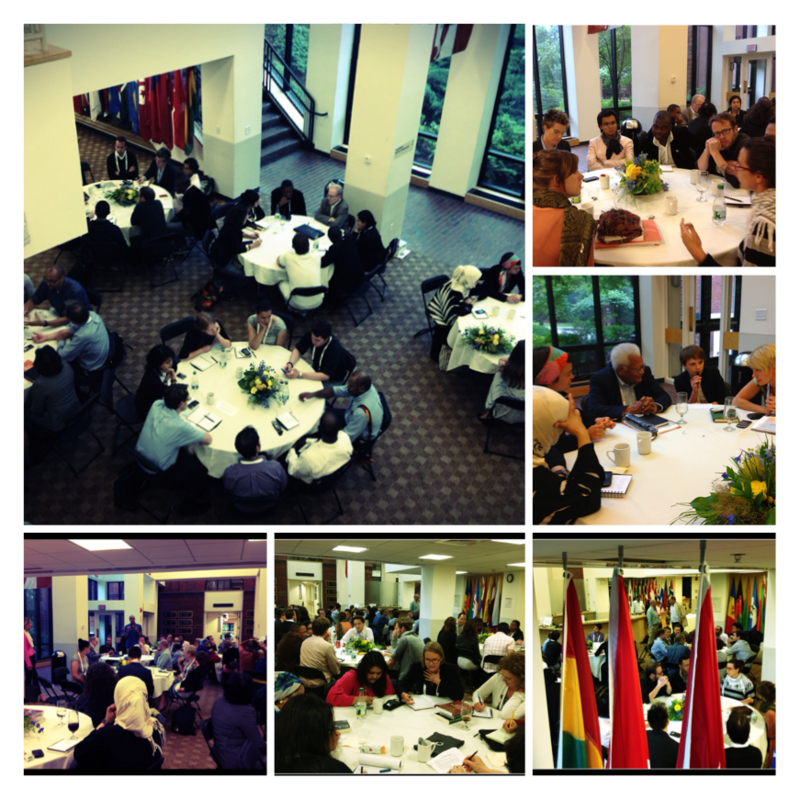 World cafe = 8 tables with 8 different discussion questions that have come up during the previous days sessions. Here are some outtakes from these intense discussions: (Thank you to those who have contributed to this list). The impostor syndrome describes a situation where someone feels like an imposter or fraud because they think that their accomplishments are nowhere near as good as those of the people around them. Usually, their accomplishments are just as good, and the person is being needlessly insecure. Often affects women in particular. o Play the long game: educate and build young peoples’ mindsets to not celebrate violence. Build counter-narratives. • Important to have lower-risk methods, like dispersion and noncooperation methods. o Have people to provide onsite medical care. • Always map out a clear channel for information dissemination. Must keep the grassroots up to date. o Keep a few phone numbers with you. o Always have witnesses and have people documenting the incident.